Dental crowns and bridges can help repair teeth when the structural integrity has been compromised. This is often caused by old filling materials, cracks, and decay. 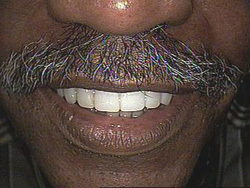 ClevelandSmiles is a non-metal practice, which means we avoid using any metal in our restorations. This prevents common cosmetic issues that arise when metal-porcelain fused crowns or bridges are fabricated. 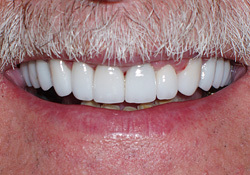 Today’s dental materials and techniques allow the restorations, whether individual crowns or bridges, to be done in all porcelain, allowing for a beautiful, aesthetic result. We use both Zirconium and E-max porcelain, which is are the strongest materials on the market. Our dental crowns are both beautiful and durable. ClevelandSmiles improves patient comfort and results by using the latest digital technologies. Our intraoral scanners and 3D printed modeling improve precision, accuracy, and fit of our bridges and crowns. This results in fewer processing steps, which means faster and more accurate results for our Cleveland patients! 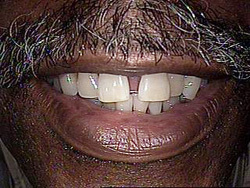 A dental bridge is a fixed set of teeth that is anchored into place with a patient’s existing teeth or dental implants. 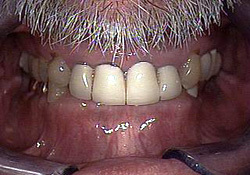 Typically, a bridge is used to fill a gap where one or more teeth is missing. There are a number of different types of dental bridges. Dr. Marsh will evaluate your teeth and your goals to determine which type is best for you. 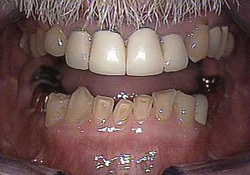 Traditional bridges use dental crowns that are placed on teeth adjacent to the gap. The replacement teeth are suspended by these crowns. 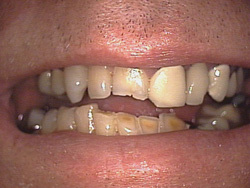 Typically, patients have their own natural teeth on either side of the area where the bridge is placed. 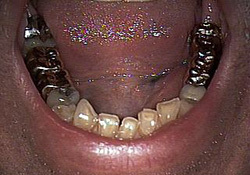 If not, dental implants can be used for anchoring instead. 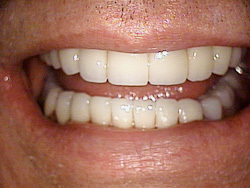 This bridge type is supported by porcelain wings that are bonded onto the teeth adjacent to the gap. 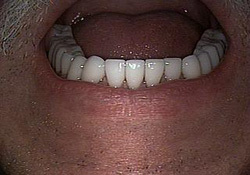 They do not require crowns and are often used to fill in missing teeth towards the front of the mouth. There is usually little to no need to alter existing healthy teeth prior to placement. 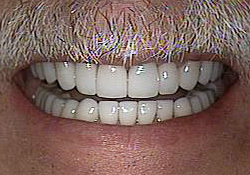 There are times when a patient is not a candidate for dental implants, or when traditional bridges cannot be placed. The cantilever-style bridge uses anchoring on only one side of the gap. For this reason, they are most often used at the front of the mouth where pressure from chewing will not cause premature loosening. Contact Cleveland cosmetic dentist Steven P. Marsh, D.D.S. to arrange a consultation about dental crowns and bridges. Dr. Marsh serves patients in the Cleveland, Ohio metropolitan area for all cosmetic dental procedures, including dental bonding, porcelain veneers, teeth whitening, dental implants, ceramic fillings, crowns & bridges, and extreme dental makeovers.